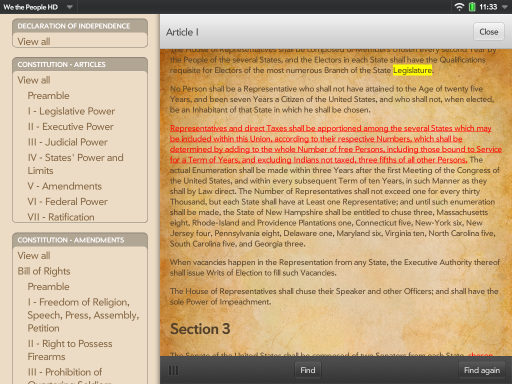 We the People HD is the best way to view the United States founding documents on your HP TouchPad. 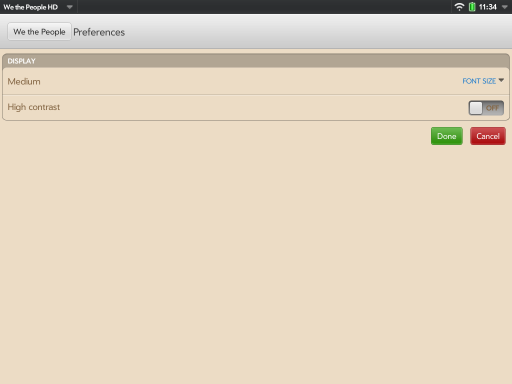 Join in on the discussion forum! 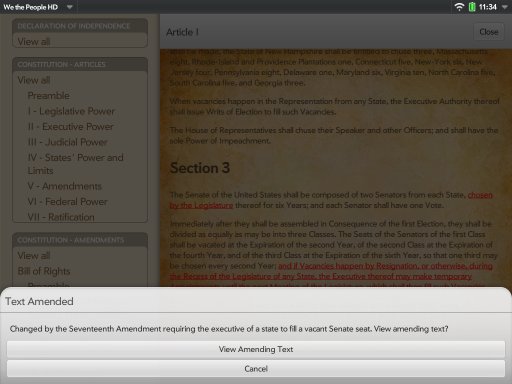 Now supports Exhibition mode! 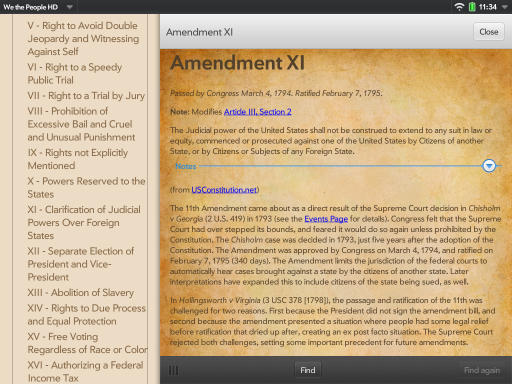 See random amendments and sections of the Constitution.